“You simply never lose the light … it’s definitely magical. Lapland is wild. Magical. Beautiful. But don’t take our word for it. Here are references from film professionals from all over the world on Lapland’s unique qualities. Motor Trends and Range Rover crafted an exciting race between two world-famous racecar drivers on Lapland's frozen tracks. Written with the rougher side of Lapland in mind, this romantic comedy production was impressed by the landscapes & locals. This Japanese romantic drama took advantage of Lapland's near-zero light pollution, frequent auroras and untouched Arctic. Attendees were impressed by the autumn colors, stony fells and helpful locals on the Fall 2018 Fam Trip to Lapland. The script called for a retro-looking building set in a small village. Director Kaurismäki’s first choice was Lapland. Korn Konzept captured a wonderful Finnish wedding in Rovaniemi & was amazed by the warmth, Midnight Sun & production assistance. 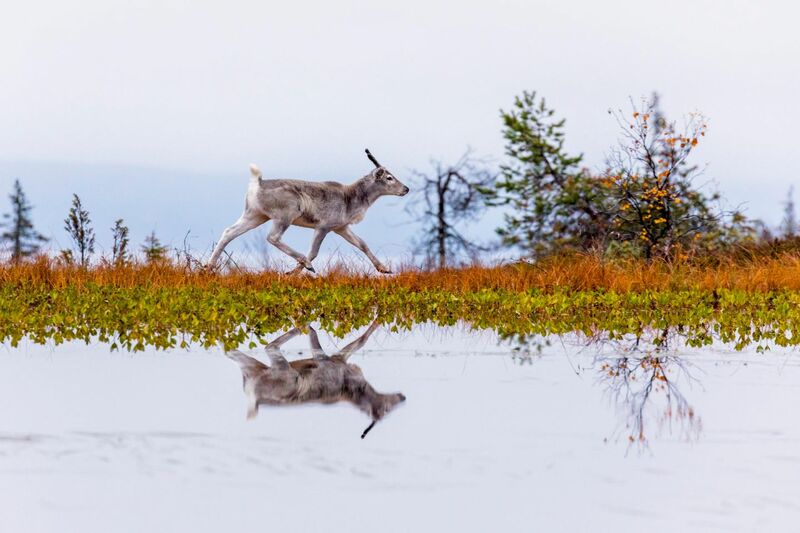 This wildlife filmmaker traveled to Lapland to shoot a show about the Sámi people and their special bond with reindeer. Estonian director Veiko Õunpuu shot his new feature-length production, The Last Ones in Finnish Lapland. Chinese TV-crew Seeking the World was charmed by the friendly people and breathtaking nature in Finnish Lapland. Flatlight, with Lapland Safaris & Lapland Hotels, provided local services for The Bachelor (US) in Finnish Lapland. The 3 last episodes of the Bachelor (S21) were filmed in Lapland in Nov. 2016. Here's the crew on working in Finnish Lapland! The northernmost episodes ever shot for the Bachelor (US) were filmed in Season 21 in the winter wonderland of Finnish Lapland. Le Plein de Sensations filmed in Lapland in April 2017. The production appreciated the free services of Film Lapland. British writer & director was filming in Lapland, and he sees a lot of potential in Lapland's Midnight Sun and wilderness.